New Space combines various building automation and audio video systems, in order to provide centralized management, ease of use and unrivaled quality. We create powerful yet simplistic lighting control systems for a variety of facilities, the features of which are easily accessible. These serve for long term value and optimal lighting with each use. Increasingly, lighting designers, architects and interior designers are leveraging natural light as a component of lighting design. To accommodate this, New Space incorporates the control over motorized window coverings directly into lighting control systems. From an automation and control perspective, this generates a symbiotic relationship between the natural and electrical lighting sources. We create sophisticated interior climate regulation systems, bringing powerful features and reporting within easy reach of the operator. Our systems allow for minute adjustments, scripts and a range of perspectives for the operator, from very granular to facility-wide perspectives. Many facilities presently utilize different systems that control various aspects of interior climate regulation, such as multi-stage cooling, heating, and humidity regulation. New Space blends these different systems under one unified control and reporting interface, maximizing power and ease of use. A revolution is occurring in the technology used to distribute media around a facility, enabling a phenomenon that the industry is calling “the Analog Sunset”. While distribution heads toward complete digitization, New Space is at the forefront of creating these new systems for a wide variety of applications, from luxury home theatres to state of the art boardroom or classroom presentation, and tele-presence conferencing systems. Integrated reporting, and control systems for energy management and energy reduction are created by New Space. Our unified platform incorporates energy using systems into an intelligent, facility-wide perspective that allows owners to achieve their energy goals with minimal change in behaviour. Working in the background, our real-time energy management solutions optimize the energy footprint, while properly supporting activities occurring at the time. Integration of security and access controls into a unified control system allows the sharing of an abundance of data, which specifies who is in the building, where they are located, and what type of activity is occurring at any given time. This data can then be leveraged to instruct other systems in an appropriate mode of operation; all this through logic structures which enable hands-free, sensible automation for any size of facility. New Space can also provide broad access to CCTV feeds through integrated control interfaces, allowing for flexibility that is simply unattainable without a unified platform. With the rise in popularity of distributed messaging and digital signage, the ability to centrally manage and easily alter information holds endless advantages and permutations. From public environments such as train stations, to university campuses and corporate headquarters, New Space creates these powerful systems to advance the efficacy of mass communication. In addition to the design and integration of these systems, we will provide suitable training to operators, ensuring that an organization can quickly become self-sufficient in the management of its distributed messaging. Unified control systems provide centralized information and administration, enabling the straightforward management of incredibly complex systems. 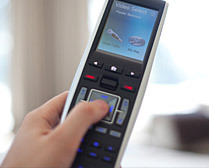 By creating a streamlined custom interface, we are able to successfully bury complication and increase the speed and strength of system control within any facility. New Space is a leading company in design and deployment for integrated control systems among most applications. Our cultivated process guarantees the long term value of electronic systems used in building management and media distribution. New Space will configure integrated controls for the incorporation of any motorized system. These include but are not limited to gates, doors, lifts, covers, awnings, windows and window coverings. Our innovative automation systems yield elegance and simplicity for the homeowner, as New Space design experts will custom tailor each system to the needs of the property, and to the tastes of the owner. 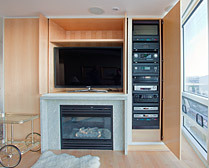 Our digital media distribution systems allow media content to be routed anywhere in the property, such as large screen home theatres. Boardroom conferencing and presentations are elevated to more commanding, efficient levels; modern communications are facilitated, and energy management and automation solutions are created. 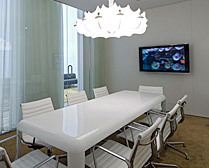 Through New Space, corporate facilities of any size can be managed with ease and precision. 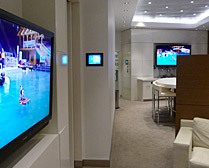 Communication among classrooms, lecture halls and auditoriums is enabled through distance learning and presentation systems by New Space.We modernize video conferencing and document sharing for remote institutions, while generating complete digital signage systems for on-campus distribution of messages, alerts and event advertising. Energy management and reporting solutions achieve sustainable goals in carbon footprint reduction; while conference centres and large stadiums acquire superior functionality through New Space event transition and automation systems. In addition to luxury automation systems for players’ lounges, we can design locker room presentation/coaching and audio video systems.